Hey there adults and parents! Don’t be so selfish and think only about your needs and the DIY crafts that you make to decorate your living area, but take some of your time to take a look at the crafts that will put a smile on your kids’ faces and will make their room look fantastic. 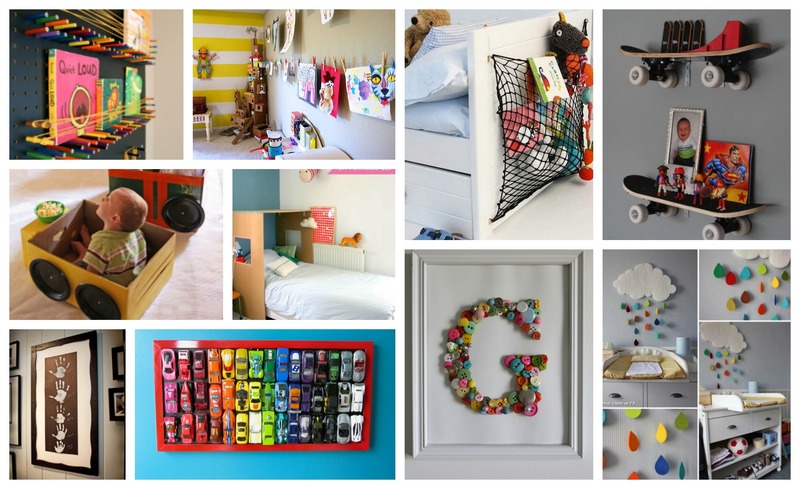 The Adorable DIY Projects For Your Kids Room To Make Them Happy are a must, so don’t miss them. Every crafts is special in its own way, and there are plenty of them, so I believe that there can be find a decoration idea for almost any taste. Take a look at them! 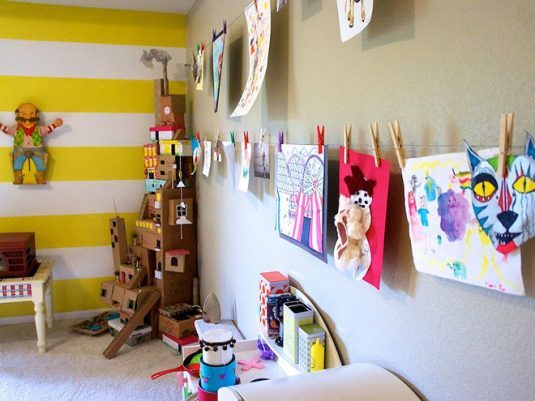 The tower of cardboard boxes is one amazing idea, but the one I like the most in the kids’ room below is the one where the kids get a spot where they can hang all of their drawings in a way that everybody can see them. I believe that kids will be inspired to draw more thanks to this design. To fill in an empty wall in the room of your kids, we suggest you to take some paper and colors and make an artistic piece which requires a little help from your kids crafty hands. 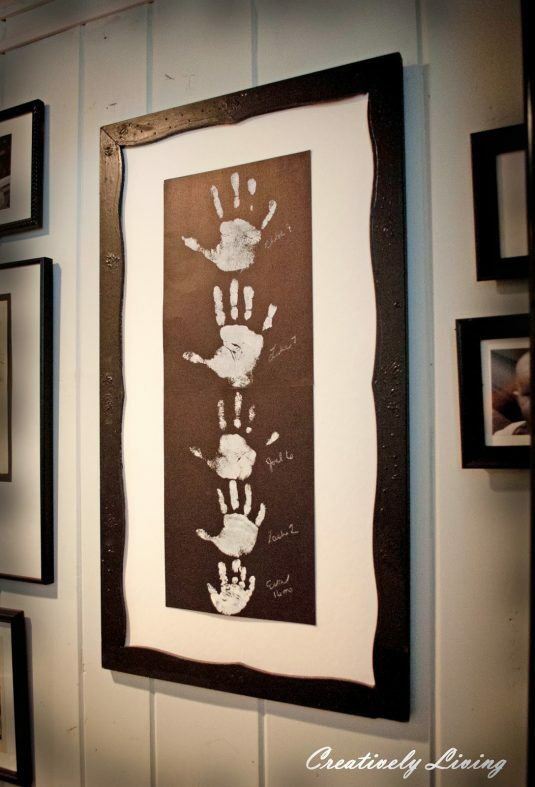 As time passes they will notice how their hands grow! 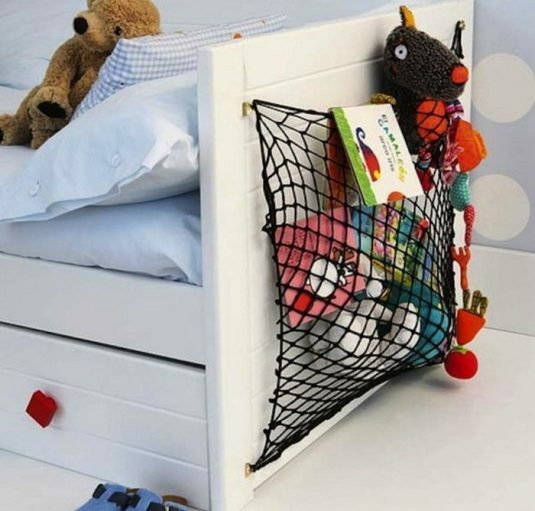 Add a net to the end of the bed and you will get a perfect spot to store your kids favorite books and teddy bears. The toilet paper rolls are not useless at all. You can make this lovely bee honeycomb in no time. 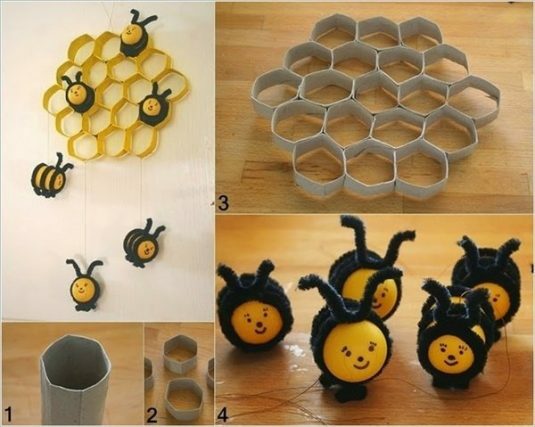 Make some bees too for a complete look. 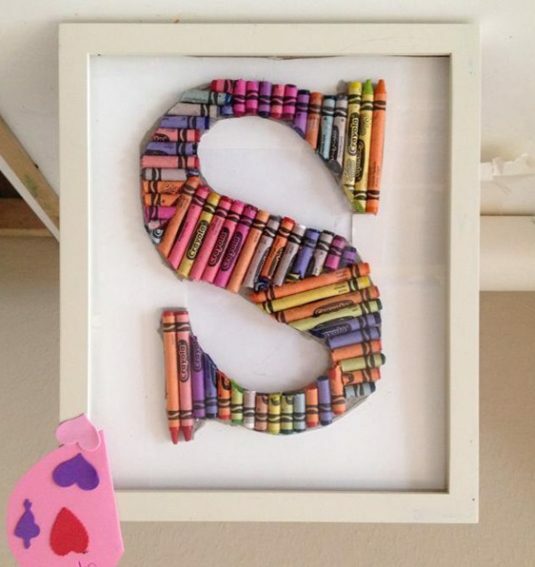 You all know that the letter decorations are currently the hottest trend, so you may want to get down to work and make the first letter of your kid’s name in a frame out of colorful buttons. You can use crayons too. It’s up to you which design you like more. 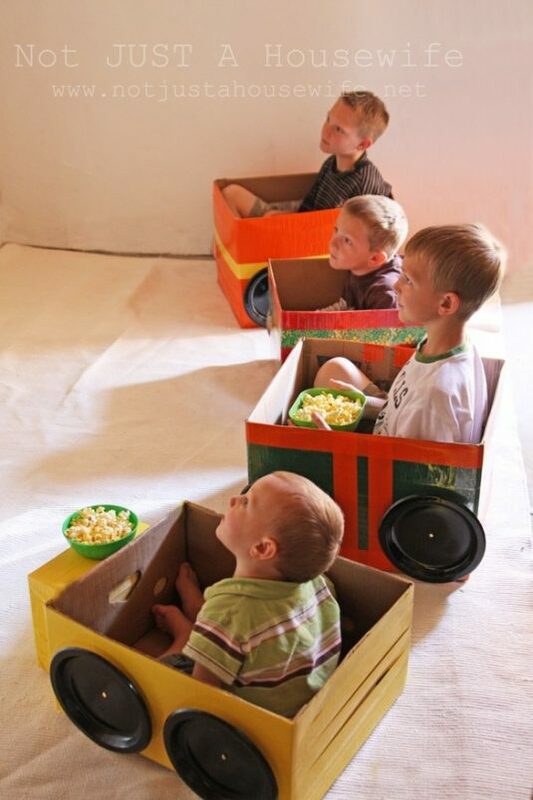 Color the cardboard boxes and add them some wheels out of plastic plates to make cars that your kids will enjoy “driving”. 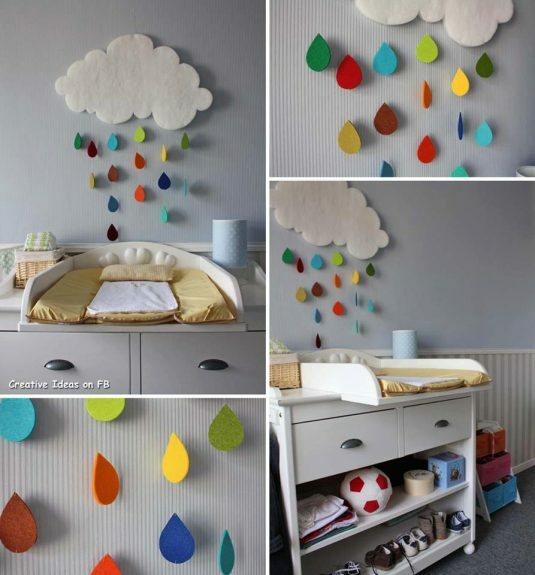 This colorful rain will make the ambiance in your kids’ room cheerful and interesting and will give them some good feelings when it’s raining. It’s an easy craft that won’t take you much time. Give it a try. 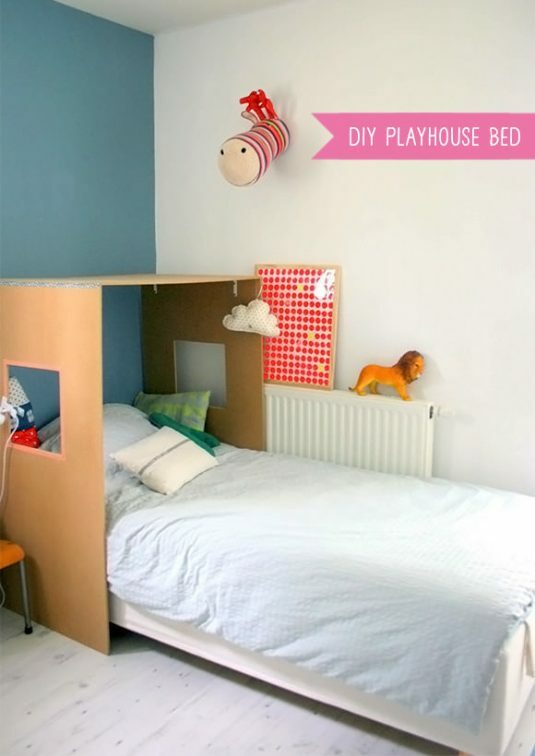 What do you think about making this DIY playhouse bed? Your kids will love to make a play and act it! 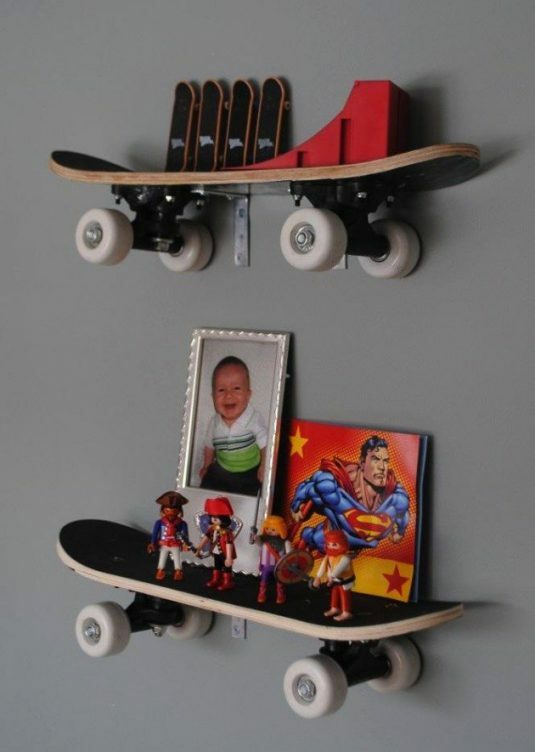 Use the skateboards as shelves and see what a difference they make. 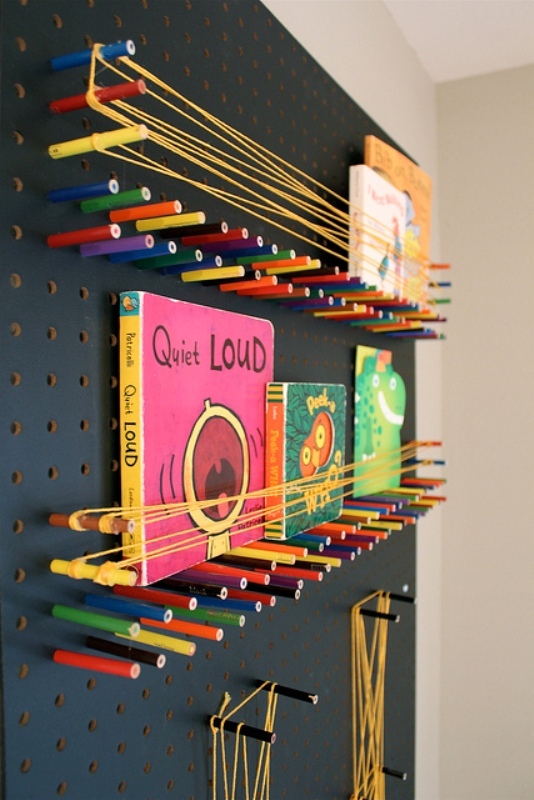 Use crayons and rubber bands to create this interesting shelf that your kids are going to adore. 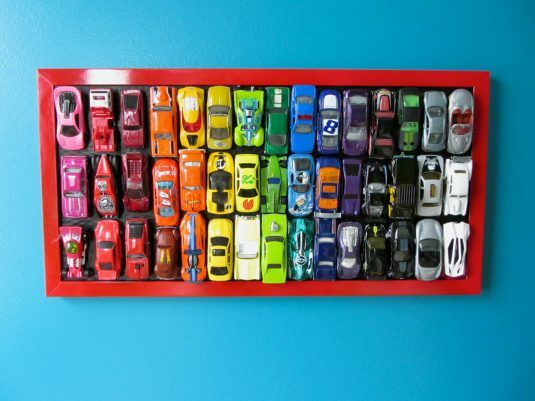 Is there a boy who wouldn’t love this wall decoration? I don’t think so! Tell me what you think about the crafts that you saw here cause I’m sying to get to know which one you are going to recreate very soon!